On this World Oceans Day, we turn to Steve Scheiblauer for his reflections. For the past 35 years, as Monterey Bay, California’s Harbormaster, he has managed access to the ocean for fishing, sailing, research, public safety tours/education and law enforcement. 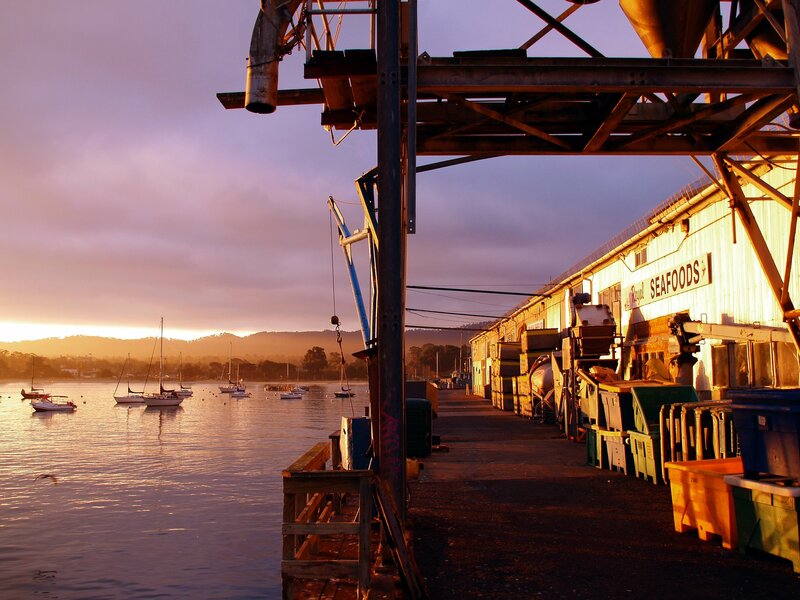 Scheiblauer is the Chair of the Monterey Bay Fisheries Trust and was the founder of the Alliance of Communities for Sustainable Fisheries, a regional non-profit that connects fishermen with their communities. It is beautiful, wild at times, only barely predictable, the source of life. It has fed my family, provided recreation, and my life’s work. I’ll never forget years ago when I was just outside the Santa Cruz Harbor entrance in our patrol boat. A beautiful rosy sunrise shimmered on a completely still and calm ocean. I suddenly noticed motion in the water, coming towards me. It was a pod of 30-40 dolphins jumping and crashing intently. Looking into the water, I could see frenzied anchovies trying to beat their fate. I turned the boat’s engines off and watched quietly as the pod passed by me, after those anchovy. The ocean has so many stories like that if we could only pause and listen. You have been Harbormaster in Monterey since 1995 and before that were Harbormaster in Santa Cruz. What have you noticed about the health of the ocean? I was an ocean lifeguard in Southern California for 11 years before I became a harbormaster in 1975. I have seen many cycles in the ocean, like El Niños and La Niñas. With each cycle the ocean is in different moods, and the types of sea life varies. Certainly there has been advancements in our understanding of these cycles, and of the life histories of marine species. There is much more care given to management. I hope that US citizens can appreciate the amazing feat we have accomplished by having sustainability in our wild-capture fisheries. We have an active challenge to source innovative and creative solutions for making aquaculture more sustainable. What ideas come to your mind? I am more familiar with the abalone aquaculture we have in Monterey. Monterey Abalone Co. has done a terrific job of harvesting wild kelp for abalone food in a manner that doesn’t disrupt the kelp forest ecosystem. And, they have been experimenting with growing other kinds of algae for abalone food — aquaculture to feed aquaculture! Pretty neat stuff. What kinds of tech innovation could help make oceans healthier? We should figure out what to do with the CO2 that’s causing ocean acidification. Share your ode to our oceans using #BlueRevolution and remember the deadline to submit your creative ideas for the Blue Economy Challenge in June 30. This challenge is a call for innovative solutions that will help break down the barriers to truly sustainable aquaculture. The three challenges each address a different area where innovation is needed: rethinking feed for aquaculture, designing new ocean products, and creating sustainable systems. Learn more about how you can develop and submit your project idea here. ← Sustainable Aquaculture: Farming Abalone and Kelp in California!